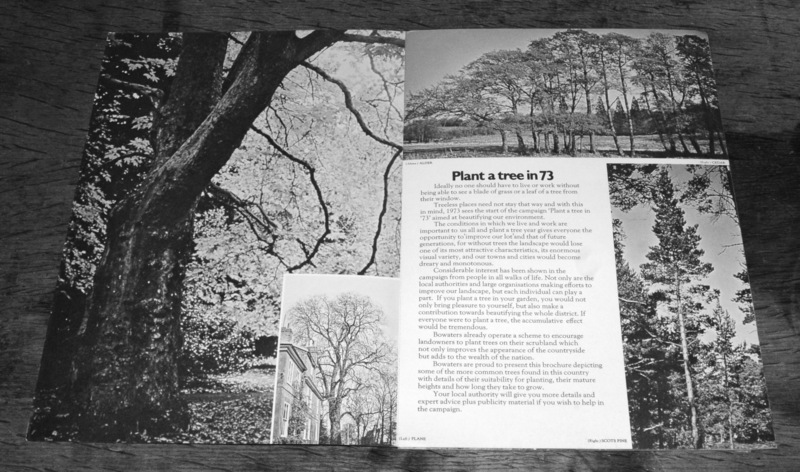 From what I know the Plant a Tree in ’73 campaign, which encouraged people, organisations etc in Britain to plant trees in 1973, was a well-known campaign and resounding success. In line with that and a modern-day plethora of merchandise that tends to be available for campaigns, projects etc, I thought there would be all kinds of related promotional items both online and at “a certain well-known online auction and commerce site”. But no, apart from some Royal Mail postage stamps releases to commemorate the campaign I found very little. 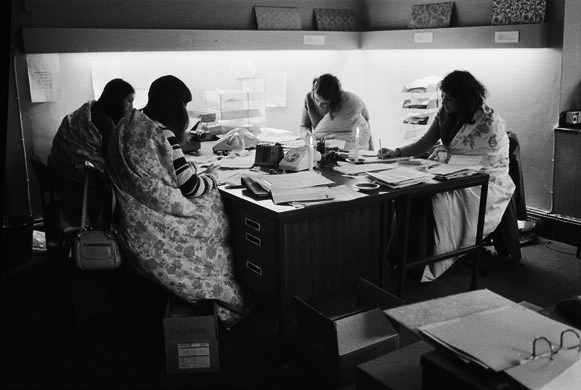 There are not even all that many photographs archived online of activities surrounding the campaign, which was also rather surprising considering the high-profile success of the campaign – and also in these days when you expect nearly everything ever to have a substantial repository of archival recordings, photographs etc scattered around the web. 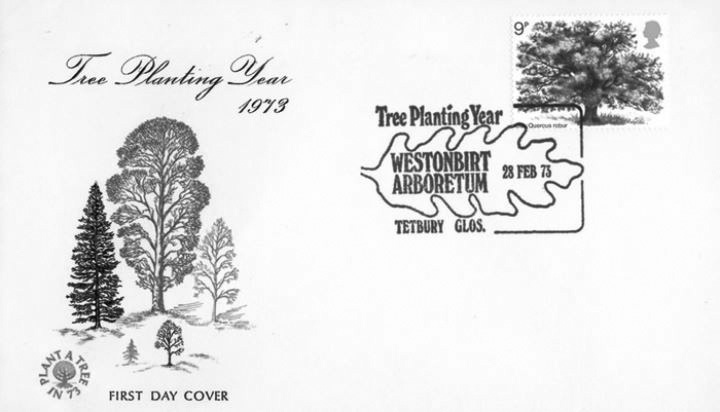 The booklet featured on this page is one of the few physical items relating to the ’73 campaign other than Royal Mail stamps which I found; it features information on popular tree types in Britain and an encouragement exhortation to help enrich the environment and living conditions by planting a tree. 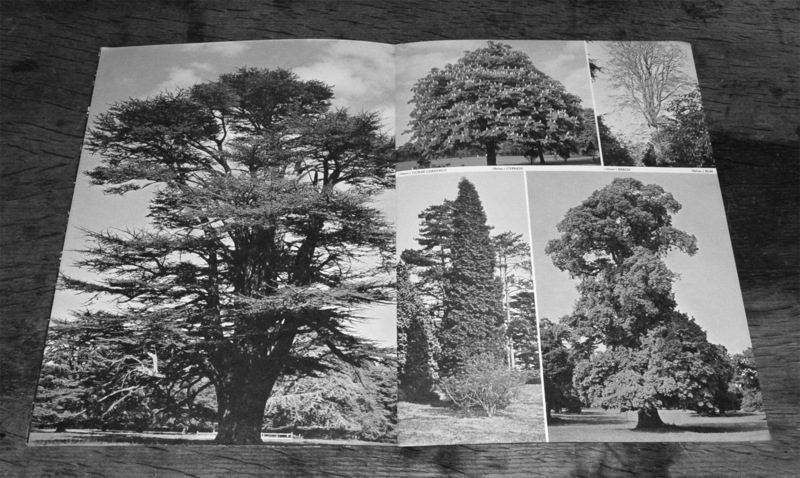 It was published by a paper company and doubled as promotional literature for their paper stock and has quite high production values, with the various parts folding out to be multiple page information sheets etc. The only other item I’ve seen at that “well-known online auction and commerce site” was a badge for the campaign. 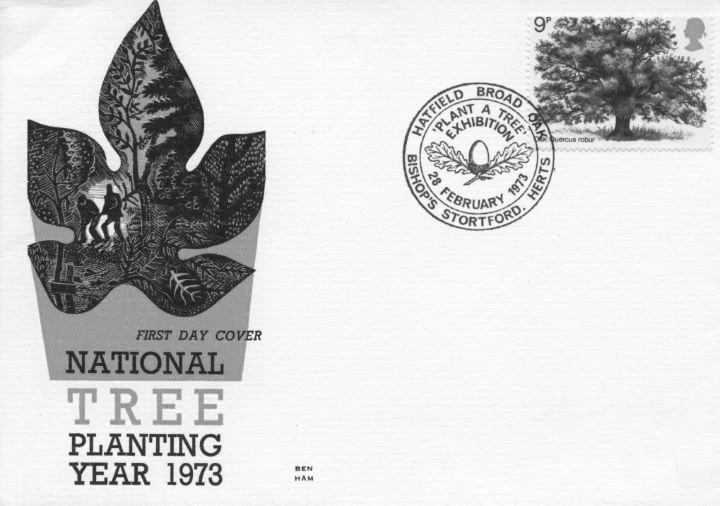 There is an interesting dichotomy between the positive, encouraging, wholesome, communally minded nature of the Plant a Tree in ’73 campaign and the background of strife and conflict in the UK at the time, where clashes between the government and unions had led to the introduction of a 3 day working week and electricity restrictions/blackouts. 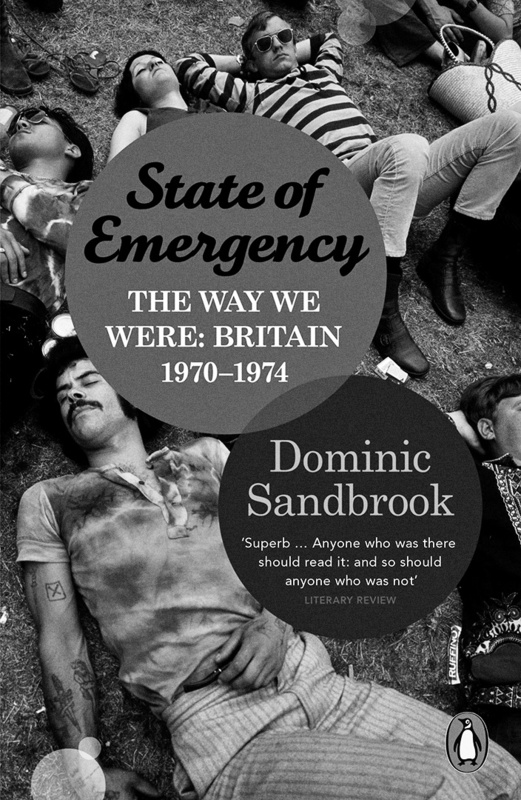 In a wider international sense in 1973 there was a politically motivated oil embargo placed on a number of countries including the UK and USA, leading to fuel shortages while domestically America was embroiled in the Watergate political scandal and conspiracy. 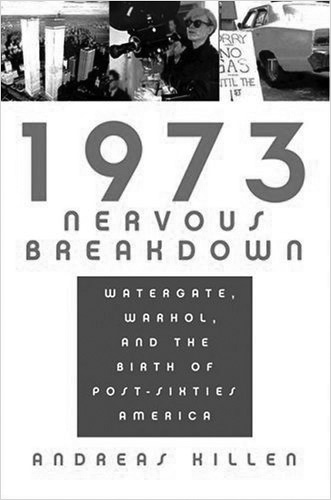 Three notable books which look back on this historical and cultural period are Andreas Killen’s 1973 Nervous Breakdown: Watergate, Warhol, and the Birth of Post-Sixties America, Dominik Sandbrook’s State of Emergency: The Way We Were: Britain, 1970-1974 and Francis Wheen’s Strange Days Indeed: The Golden Age of Paranoia, the titles of which reflect the wider turmoil that the Plant a Tree in ’73 campaign was backgrounded by.